NLSC | Page 324 of 330 | Your source for basketball video games. Having spent a couple of days playing several games of the NBA 2K12 demo, I feel it’s time to post some impressions. In a nutshell, I’m liking what I’m seeing and am definitely looking forward to the full game, though like a lot of people I did feel a little disappointed that the demo is as stripped down as it is and would’ve liked more of an opportunity to sample what’s on offer this year. In any case, please read on for my full demo impressions, feel free to leave a comment and don’t forget to add your impressions here in the NLSC Forum. For those who haven’t seen JaoSming’s write-up on the demo be sure to check it out here, as he has updated it with some additional thoughts after further hands-on time. EA Sports have posted two more NBA Jam: On Fire Edition screenshots here over on the official Facebook page. This week’s screenshots spotlight Deron Williams and Devin Harris, who traded places last season. You can also check them out in our gallery of NBA Jam: On Fire Edition screenshots and comment on them below or here in the Forum. 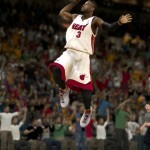 2K Sports have posted the eleventh Developer Insight for NBA 2K12 over on the official Facebook page. It features audio director Joel Simmons talking about the audio in this year’s game, beginning with the commentary. Joel details the changes with the new three man booth that now includes Steve Kerr and mentions that the commentary will better react to late game and clutch situations, as well as recent events and performance during a season. He also talks about the commentary in NBA’s Greatest and the decision to approach it from an archival perspective, as well as the vintage arena effects and PA audio that were added along with 500 new contemporary arena-specific sounds and music clips. Improvements to crowd audio are also covered in the Insight and Joel touches on their ability to patch commentary bugs in NBA 2K12 as necessary post-launch. Finally, the Insight includes some audio clips from the game, so that you can download and listen to examples of what Joel is talking about. Check it out and post your thoughts in this thread or feel free to leave a comment below. One of the main questions I had after finding out Post Up was being moved to the Y button was how 2K12 was going to handle signature gathers. In the Controls Insight we got the answer with the LT+RS moves. In this video, Chris Smoove shows them off with Dirk. Simple and effective. What do you think about the new Signature Gathers? Do you like 2K12’s LT+RS, or 2K11’s Y+LS? Thanks to fumanchu for the heads up in the Forum. 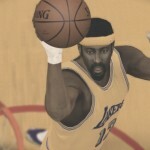 There is a new interview up on Machinima Sports with Rob Jones about NBA 2K12. Again, not much new information, but this time we get to see more of the classic teams and one of the classic score overlays. Plenty of gameplay to watch as well. What do you think? Let us know in the comments or in the Forum. Thanks to kobebryant24 for the heads up. Da Czar is back with a new series called Play of the Day. In it he is showcasing a single play for each team in NBA 2K12, but that isn’t a slacker thing since each play can be organically changed depending on the decisions made. Some additional things to note about the video is the dynamic attendance for the Mavs when they were at home against the Spurs and against the Hawks. On top of that, the “lite” version of the play diagrams looks very similar to NBA Live 10’s playcalling. Be sure to check out Da Czar’s blog, comment on what you think about the new series, and hit up the Forum for discussion. EdotD aka Isoachieved aka MomentousCeltic has made a little mix featuring Caron Butler in the NBA 2K12 demo. Ugh, there is still much to learn. I guess this demo has a lot more to offer than I initially thought. Be sure to stop by the Demo Impressions Thread to share your thoughts. GameTrailers have posted a new NBA Jam: On Fire Edition video, in which producer Cody Sawatsky talks about online content in this year’s game including Jam Challenges, Jam bucks and unlockables, as well as giving a brief rundown of Road Trip and Arena. Watch it here if you can’t see the embedded video and post your thoughts here in the Forum. Forum member ThaLiveKing has some footage of the demo up on his YouTube channel. You can check out his other videos and give your own impressions of the NBA 2K12 demo in this Impressions Thread. I just spent some early morning time with NBA 2K12’s demo and here are my impressions (feel free to post yours here). If you don’t want to read, just know that the demo doesn’t come close to the hyped up expectations for this game. Limited options and a stripped down gameplay effort makes me think that they would have been better off releasing the demo after the release rather than two weeks before it. The NBA 2K12 demo is now available to download from the Xbox Live Marketplace and PlayStation Network Store. It is 1.1 GB in size and features one four minute quarter of gameplay between the Dallas Mavericks and Miami Heat. Please note that the demo does not feature any commentary, sliders, options, additional camera views etc and you cannot run plays. I’ll be posting my impressions of the demo within the next day or so, remember you can share yours in this thread in the NBA 2K12 section of the NLSC Forum or post them in the comments below. 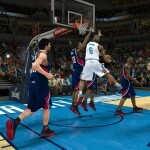 2KTV have posted a video interview with Chris Snyder, in which he provides a rundown of what to expect in NBA 2K12. He notably confirms the inclusion of Online Association play, which was first revealed by the unveiling of the game’s Xbox Live Achievements. If you can’t view the embedded video, watch it here on YouTube and post your reactions to the interview here in the Forum. The tenth Developer Insight for NBA 2K12 has been posted over on the official Facebook page. 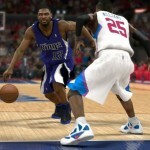 This time, senior game designer Mike Wang checks in to talk about the controls in NBA 2K12. 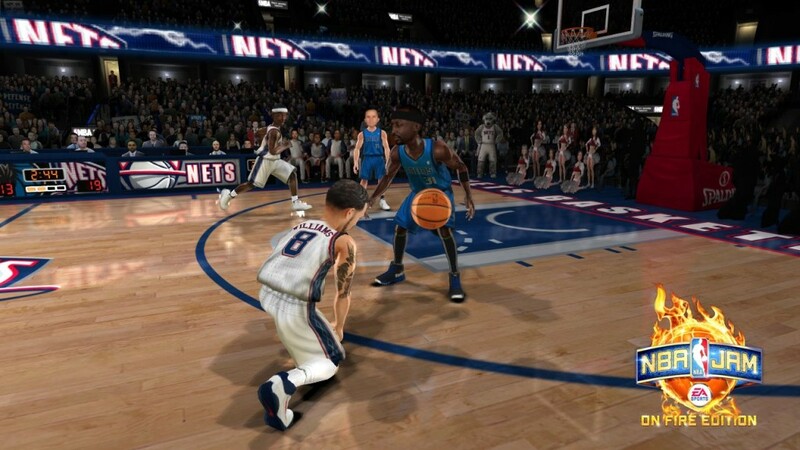 Mike begins the Insight talking about the improvements to ballhandling in NBA 2K12, including the removal of the “hunchback” dribbling animations, refinements to speed and explosiveness of players, the blowout dribble and sizeups. He goes on to talk about the new tech used in shooting controls and Signature Styles called Shot Compositing, improvements to the code for changing shots and the “flick flick” shots and some of the defensive tools that can be used to counter the new and improved offensive moves. Finally, Mike mentions some changes to free throw shooting in this year’s game including more realistic timing windows and error margins depending on a player’s free throw shooting ability. 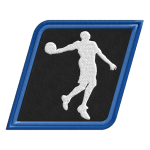 Be sure to give it a read and leave a comment below with your thoughts or join in the discussion here in the NBA 2K12 section of the NLSC Forum. 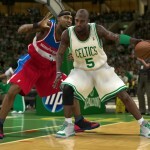 2K Sports has provided Operation Sports with some exclusive screenshots which detail the controls in NBA 2K12. There are ten screenshots in all which explain advanced offense, on-ball defense, Isomotion, passing, the shot stick, triple threat moves, post shots, post moves and the default basic controls on offense and defense. Be sure to check them out here in Operation Sports’ NBA 2K12 gallery and then have your say in the comments or this thread in our Forum. Remember that the NBA 2K12 demo will be available on Xbox Live and the PlayStation Network in a matter of hours, so it won’t be long before we get to try out the new moves and controls for ourselves.